Getting Remote Desktop Manager 2.7 working sanely with mixed high DPI screens – But it works on my PC! Updated 3 July 2018 – A colleague, Andy Davidson, suggested mRemoteNG as an alternative tool to this address this issue. 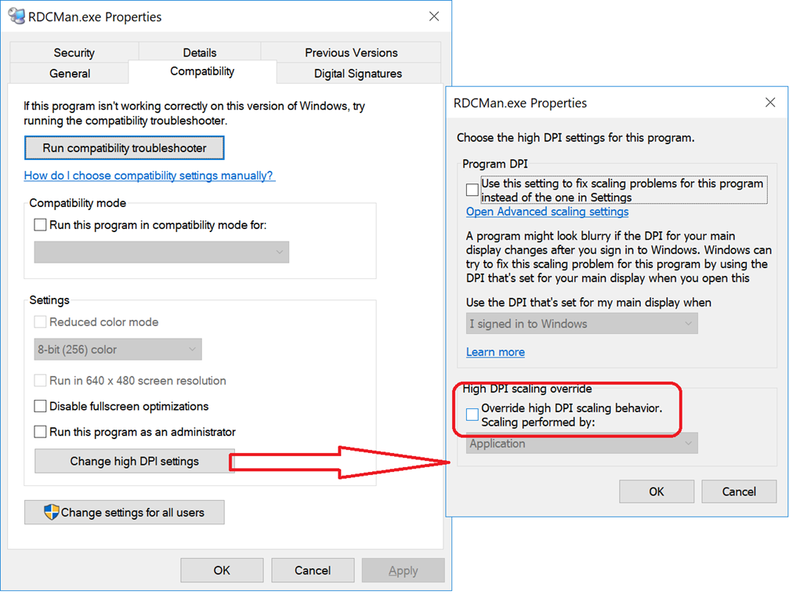 mRemoteNG also has the advantage that it support most major remoting technologies not just RDP, so I am giving that a try for a while. I have a SurfaceBook (first generation) and when I am in the office it is linked to an external monitor, with a different lower DPI, via a dock. 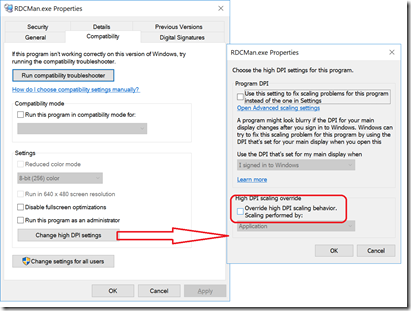 If I use Remote Desktop (MSTSC) as built into Windows 10, I can drag sessions between the two monitors and the DPI shift is handled OK. However, if I use my preferred tool Remote Desktop Manager 2.7 (as it allow me to store all my commonly used RDP settings) I am in DPI hell. I either get huge fonts or microscopic ones. This is bad whether working on the single high DPI laptop screen work with an external screen. Once this was done, I have readable resolutions on all screens. Why did I not do a better search months ago?